When working on their documentary about the crash of the Malaysian Airlines flight MH17, the BBC chose not to ask for comments and opinions from the Russian Foreign Ministry, spokesperson Maria Zakharova said. The BBC aired the documentary titled "Conspiracy Files: Who Shot Down MH17?" which covered various theories of the Malaysian Airlines flight MH17's crash in eastern Ukraine. The documentary took evidence from eye witnesses, experts and secret intelligence sources, as well as studied satellite photographs, wire taps and videos in an attempt to divide facts from fiction in many conspiracy theories, involving Ukraine, Russia and the CIA. A BBC spokesperson said the film took a "balanced viewpoint" in its reporting of the events. However, according to Zakharova, the BBC just outright ignored opinions from the Russian Foreign Ministry. "Never employees of the BBC's Moscow Bureau asked questions regarding the investigation of Malaysian Boeing crash when preparing this film," Zakharova wrote on her Facebook account. 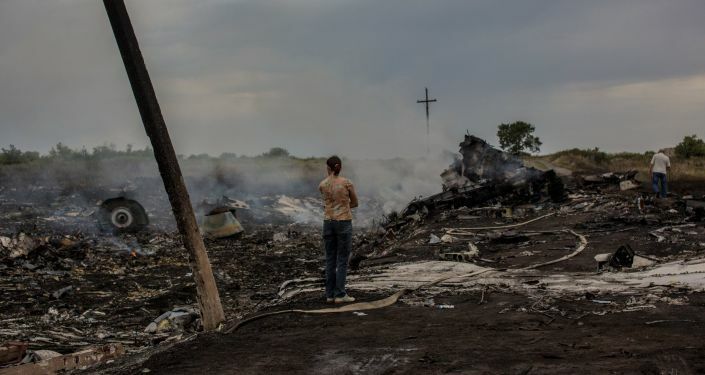 The spokeswoman added that when other news agencies asked her to comment on the crash of the MH17 flight, BBC journalists never asked questions nor wanted to clarify anything. Amusingly, the BBC said they tried to contact the Russian Foreign Ministry, but the ministry refused to give any comments. Zakharova, on the other hand, said this wasn't true. "For a long time we were in close working contact with the staff at the BBC's Moscow Bureau, we repeatedly gave them interviews, took part in online conversations, met with their journalists at briefings, visited their office, etc. Without an exaggeration one can say that we [the Russian Foreign Ministry] talks with the representatives of BBC a few times a week," Zakharova said. Flight MH17, with 298 people on board, crashed on July 17, 2014, in eastern Ukraine after being shot down en route to Kuala Lumpur from Amsterdam, leaving no survivors. Most of the victims were Dutch citizens. Donbass independence supporters and the Kiev-led forces were fighting in the region at the time of the crash, and traded blame for the incident.